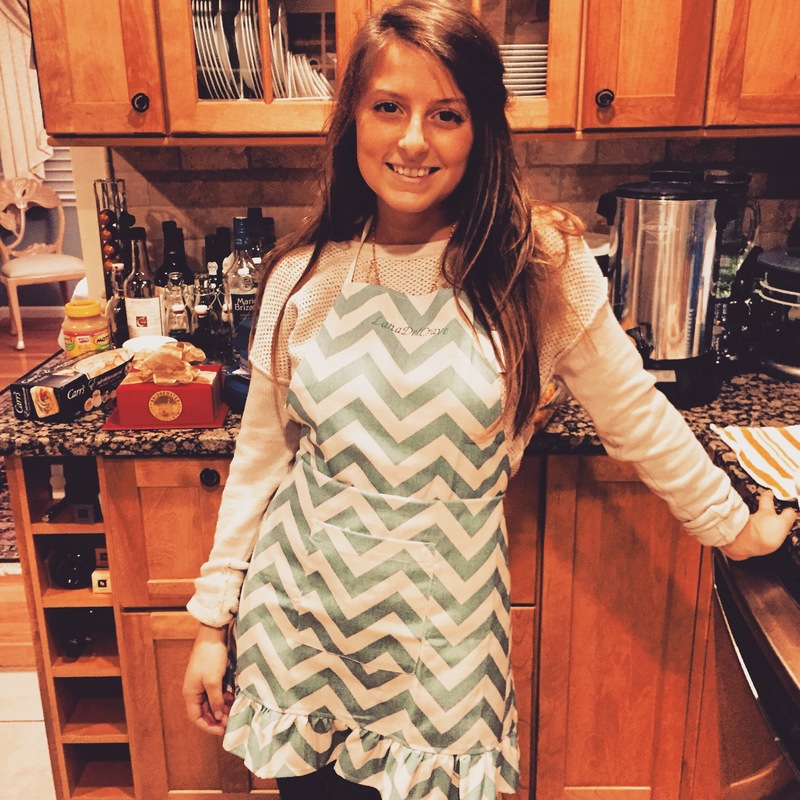 This recipe is perfect for weeknights where you’re craving something quick & healthy. Using rotisserie chicken is an extreme time saver, plus it adds amazing flavor to the salad. Just make sure you’re buying all-natural or organic chickens with no sugar and low/no salt! 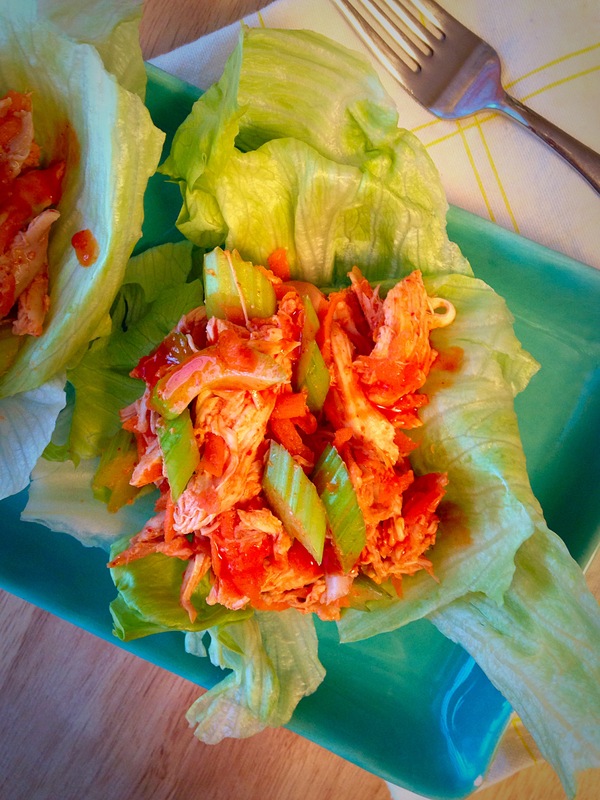 For these wraps I used ‘iceburg’ lettuce because it’s super crunchy, which is a must when it comes to any type of chicken salad. 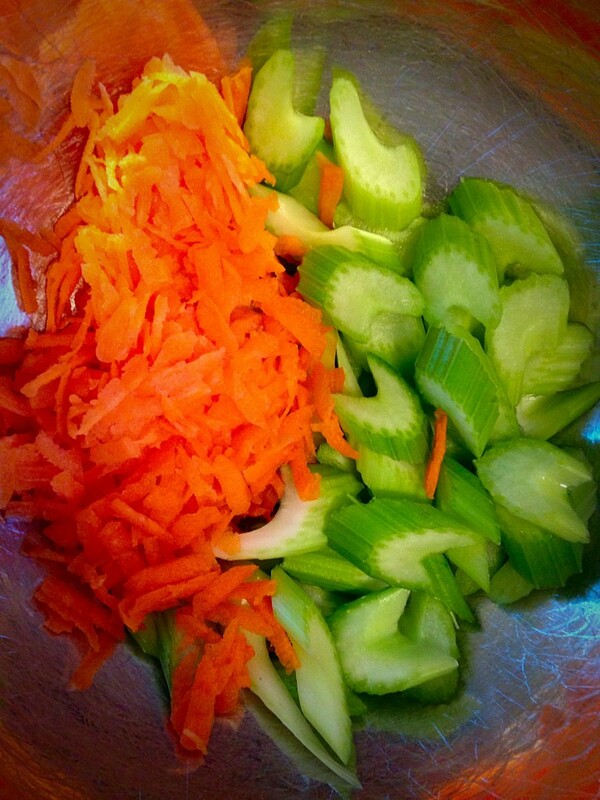 Chopped celery & grated carrots gives this dish an even crunchier texture. Use your favorite hot sauce. I used original Cholula hot sauce because it’s delicious & there’s no added sugar or soy. If you prefer Frank’s or a different brand, feel free to replace the Cholula in this recipe. Add blue cheese and/or ranch. Just because I skipped the dairy products for this meal doesn’t mean you have to. Crumbled blue cheese and/or a drizzle of ranch dressing would be amazing on this spicy lettuce wrap. Double the recipe. 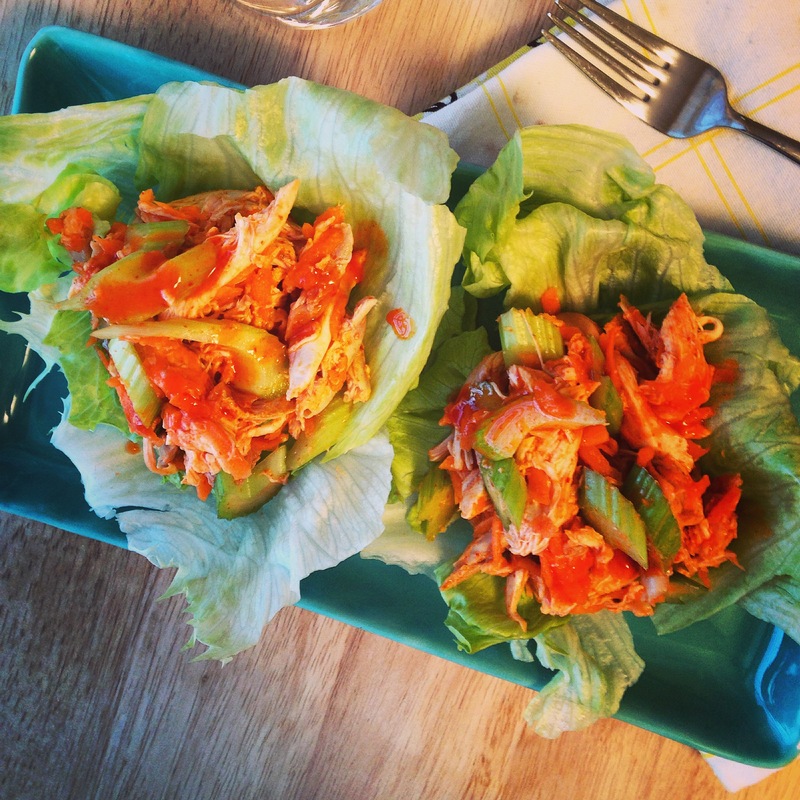 This recipe makes 4 lettuce wraps, which may not be enough for you. If you’re cooking for more people or want leftover buffalo chicken salad, this recipe doubles very easily! Using 2 forks or your hands, pull the meat from the rotisserie chicken & set aside. 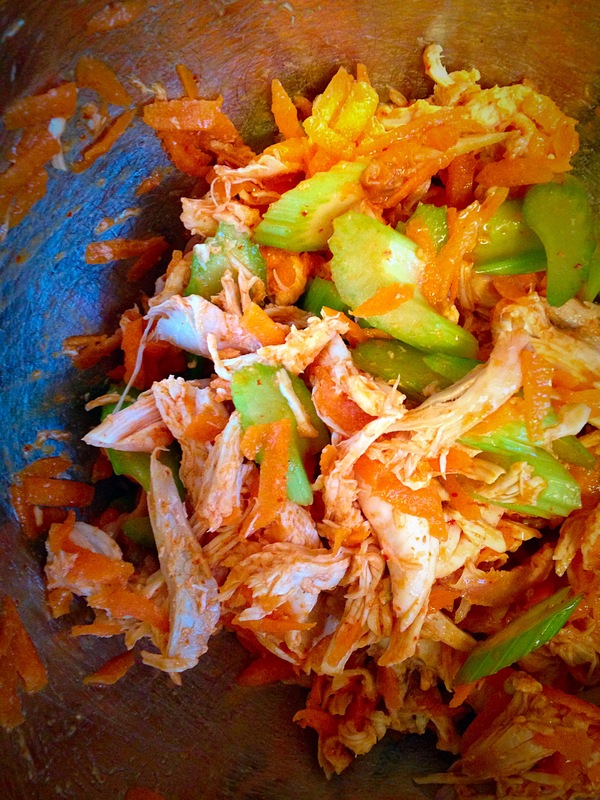 In a large bowl, add the celery, carrots, shredded chicken & hot sauce. Using a spoon, mix to combine. 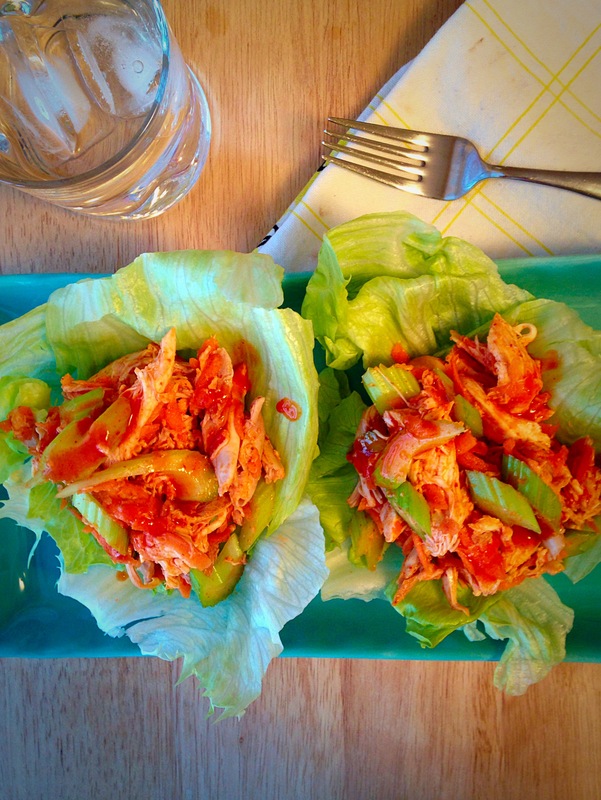 Fill each lettuce leaf with a generous helping of buffalo chicken salad. If adding blue cheese or ranch dressing, crumble/drizzle atop each lettuce wrap. Drizzle additional hot sauce atop each wrap, if desired. Store leftover buffalo chicken in it's own container, separate from the lettuce leaves. In an air-tight container in the refrigerator, the chicken salad will last up to 1 week.